Looking at Pete’s website he photographed and video’d the Tryfyn downhill dash just this Saturday. He dedicated a lot of his time to fell running, in all conditions too, to allow us gurning fell runners to enjoy the races afterwards, capturing the moments of suffering and delight, always with a friendly smile and a chat to all who knew him. It is a sad and big loss for the fell community. …and you never know, maybe there is some great scenery out there for him now. Last Wednesday was the Capenhurst 5k organised by Ellesmere Port Running Club. Great turnout for Helsby at the Delamere Park Run on Saturday with 16 green vests on display and two new PB’s! Colin Bishop was first in under the 18 minutes in 2nd place in 17.56 swiftly followed by Colin Thompson for 4th. Laura was first lady home for 44th overall in 23.29. Well done to all. Sunday was the Fleetwood Half Marathon which Ivan Davies and Dave Madders ran. Cilcain on Bank Holiday Monday, a race from Cilcain to the Jubilee Tower on Moel Famau and back was our 9th Fell Counter of the season and it was great to see eleven Helsby runners out including Colin Bishop for his first foray into the hills! Great run by Jayne once again to be 2nd lady overall. Over 200 runners out. A lovely warm day (very different to last year!) meant a record turnout for the race and show which meant a course filled with spectators and support. Thanks to Jane, Laura, Vanessa and Mario. Well done also to Dave Madders who biked to and from Cilcain, as well as doing the race! Kudos. Well done also to Patrick Stradling who won the Julie Tillis trophy. Race entry = £5. This not only gets competitors entry into the race, but it also includes food back at the Helsby Community social club too where the prize giving will be… and yes, there will be cake. The event is not for profit and all the race fees will go to the catering, prizes or a charity on Robbie’s behalf. I’ve assumed you know the Sandstone trail, if not, follow the yellow foot markers (not the yellow arrows) The only exception to this is at the top of the metal “fire escape” style ladder on the way back, as you follow the path you come to a tall rusted metal post, turn left, along the way you came rather than out onto the golf course. Many thanks to Phil for organising the handicap and I believe it was a great night for all involved. Thanks should also go to Lesley and Dave for organising the BBQ and to all marshalls who gave up their time on the night allowing the many runners to enjoy the hill. Special congratulations to Tom DeJong securing first place and getting his name on the trophy. Not sure what the course record is but Jim O’Hara is surely close with his fastest time on the night. Unfortunately some sad news passed on to me from Paul Aird. Paul informed me that Chris Davies, who ran for Deestriders & Buckley was killed in a motorbike accident on Sunday…………..please pass the information onto any person you can think of who knew him. Our thoughts and condolences from Helsby running club are with his family. I’m still waiting for a couple of results this week but not sure when they will appear so I will send the round-up out anyway and update the blog as necessary so keep having a look! Thursday night was also race 3 in the Deestriders Multi-Terrain off –road Grand Prix. Thanks to Jane and Sharon for support. Saturday morning was the Delamere ParkRun 5k, with results below and four Helsby runners out led by Colin Bishop in 2nd overall with first lady home Carol Shaw. Saturday also saw the Merseyvend 5k where three Helsby runners competed, and first in with a sub 18 minute run was Colin Thompson, obviously hitting some good form as well as Roy now easily under the 20 minute mark. Teggs Nose was also on Saturday and was our 7th club fell counter of the season and Race 2 of our Inter-Club fell competition with Spectrum, Tattenhall and Pensby. With only 6 points separating us from Spectrum it was disappointing to see such a low turn-out for us on the day, with 10 Helsby runners making the journey to Macclesfield. Unfortunately the low turn-out now means we probably can’t win the inter-club fell series this year. But looks like I was wrong as we had some big point scorers on the day to help us out. After two races…….we are still in it! 24 points separates….. However, there was some Joy to be taken out of the day to see such a magnificent performance from Jayne, who had come back from cycling across Mongolia injured and with no good running for a month storm to victory to win the ladies race and pick up a nice trophy in the process. Many thanks have to go to Joe and Chris Baynham-Hughes and Freddie who were all out on course providing us with great support and incentive along the way. Runners out on the day (and in no particular order were Jayne Joy, Adair Broughton, Jim O’Hara, Steve Riley, Jim Jones (2nd claim), Paul Porter, Paul Foster, Laura Baynham-Hughes, Janet Robertson, Andy Smith and Chris Hall. Many thanks to all taking part. 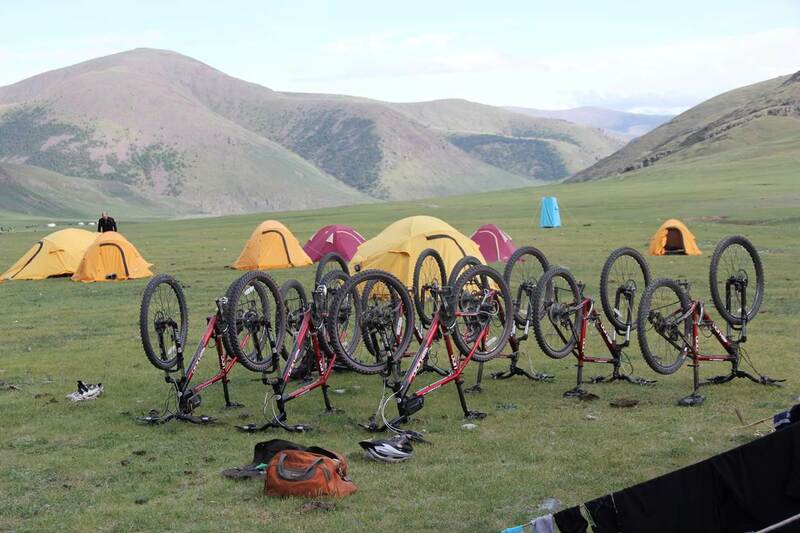 Mountain bike across Mongolia … sure… how tough can it really be??? Sooo, in my naivety initial thoughts about biking this unique part of the world were, I’m surely run fit, biking will be no problem! After minimal contemplation I booked with a company called bike asia (who i would highly recommend-they do various bike tours around China and numerous other places. Check out there website if you get chance http://bikeasia.com )…. and after minimal training (I’ve since discovered 20 miles along Wirral way doesn’t really cut it), off i globe trotted to the Asian continent. 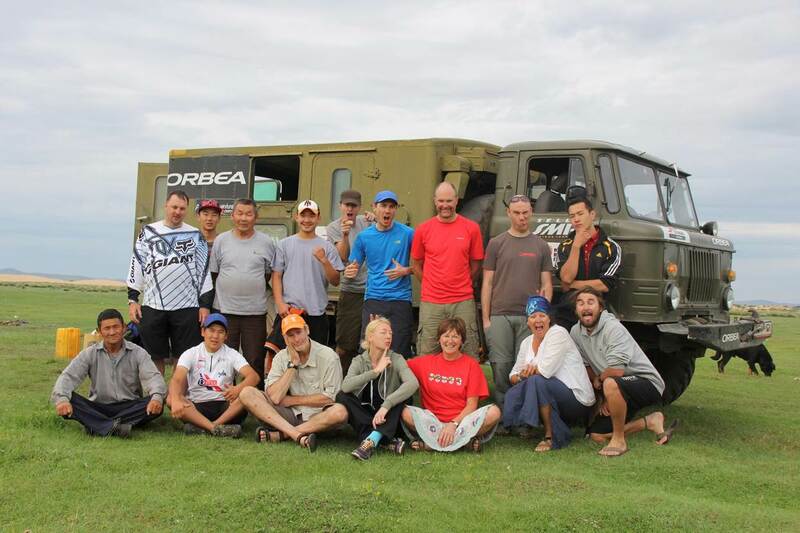 The first few days of the trip we were eased into Mongolia living by spending a few days in the capital Ulaan Baatar, experiencing the Naadam Festival – Mongolia’s National Games. This was followed by a 2 day drive out into the vast Mongolian planes to Bayanhongor where our 485km biking journey through the Arkhangai mountain ranges would begin. Essentially the cycling part of the trip was spread over 9 days. The terrain was like nothing I could have prepared for. In our entire journey the only paved track we rode was 4k worth. Throughout our trip we were completely isolated riding through absolutely beautiful mountainous terrain. 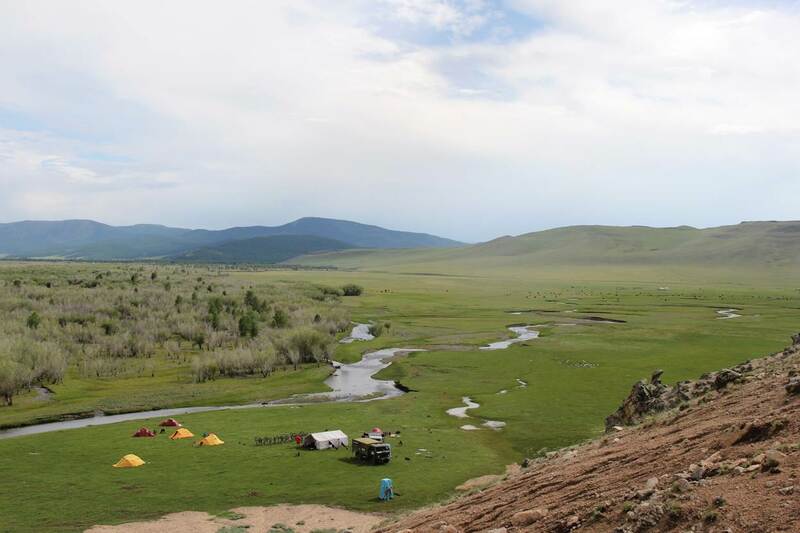 We left civilisation behind, partaking in nomadic living and meeting the charming, affable Mongolian people dotted about the vast Mongolian countryside. It would be too difficult to relay in words just how amazing this trip was (sincerely) So figured id have a shot at a touch of reflective summary on what the trip involved, and try to refrain from banging on too much! Our journey commenced at Shargaljuut Valley, the top of which allowed for truly breathtaking views. On to riding through Tuy River Valley which essentially involved tackling ridiculously rocky riverbeds and endless river crossings. This part of the trip I found to be incredibly challenging; both mentally and psychologically. The weather generally stuck to driving rain storms, wind and sub 0 temperatures. I fell off the bike countless times; my legs were battered and bruised and my leg strength for biking (or lack there of) became increasingly apparent. We were constantly drenched right through and after river crossing number 30 I lost count….i even almost got swept away during one crossing – thank god for lanky frame which left me able to find the floor after a rather scary underwater trip down stream! I confess I just wanted to call it a day and curl up in the support truck but my dam stubbornness wouldn’t let me and I dug in best I could. Our route then led us to Bulgan and Tamir Valley leaving the river rocks and beds behind – for a while atleast… but onto epic hill climbs instead. I think we reached altitude of 2900 at one point! We dropped down to the outskirts of Tsetserleg which meant we would have the opportuninty to visit the Aimag (provincial) Museum in the temple Zayayn Gegeenii Sum. And pick up some essentials (tiger beer will heal my damaged limbs?!). Onward to Tsagaan allowed a descent towards Orkhon Water Falls and a welcomed swim…a welcomed sight if only for a cheeky way to bag a full body wash!! The final days saw us follow the Orkhon River all the way to Kharkhorin, the ancient capital at the time of the Mongolian Empire. Think we all found ourselves on a high for the last day that we got to Kharkhorin at record pace which allowed us time to visit the Erdene Zuu Khiid, the first Buddhist monastery in Mongolia dating from 1586. Sadly my knee gave in towards the end of our biking adventure after pushing my self too hard. I discovered I am not a comfortable quitter and was extremely frustrated to have to sit out for part of our adventure – the fact I struggled to even walk kind of left me with little option! On hindsight I know it was a wise decision to stop when I did, there are too many fell races I hope to run in the future to give it all up for a days biking. Fortunately some rest allowed me to get back in the saddle and finish the final leg of our journey and experience the sense of achievement and satisfaction that came with this. 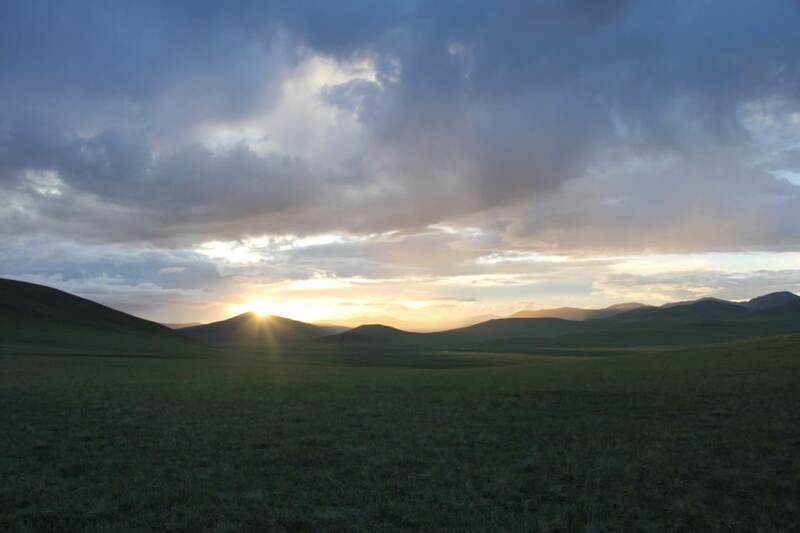 I found Mongolia to be a vast and picturesque country. 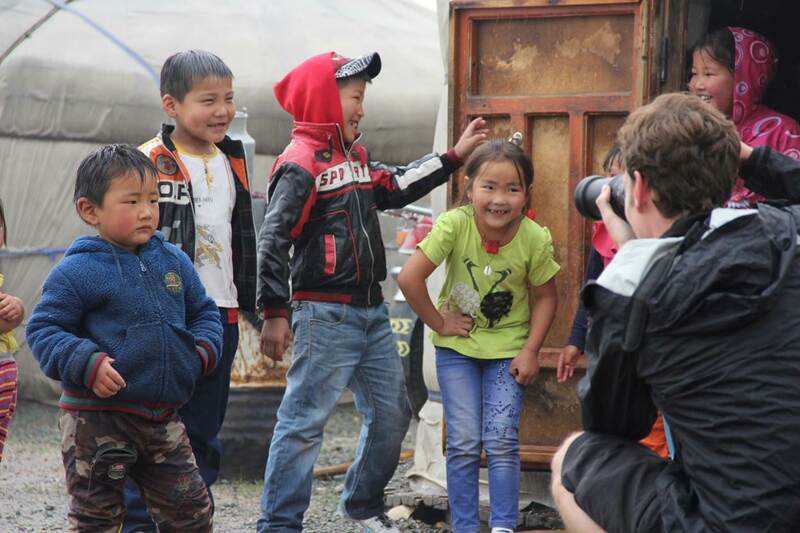 Mongolian people (certainly the nomadic population) were incredibly friendly and welcomed us into their homes offering food and drink without question. 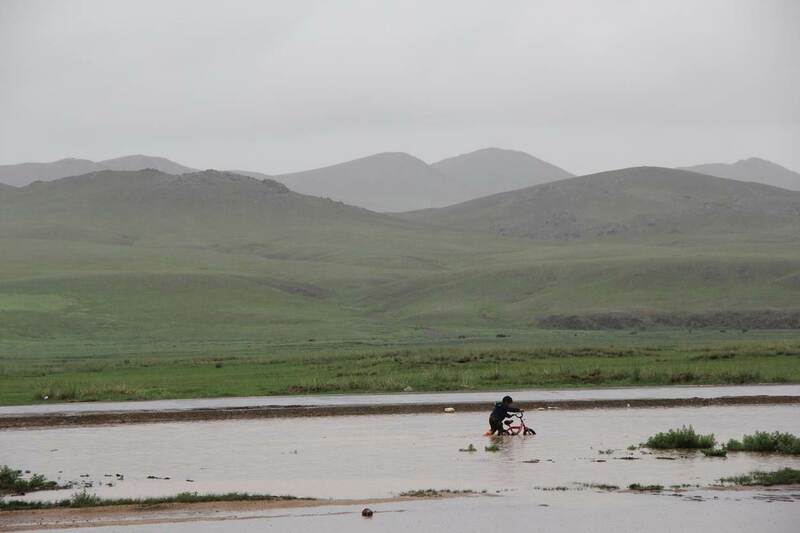 Mongolia is quite unlike anywhere I have ever visited before. I feel incredibly privileged to have experienced all that I have over the last few weeks and guess I wanted to bestow my findings on this little bit of the world with you all. If anyone is up for a spot of cross training I reckon this is the perfect place to go do it.